In an unprecedented move, the government of Pakistan has abruptly closed down 28 Turkish schools and colleges, issuing deportation orders for the 108 teaching and administrative staff to leave the country within three days. This arrangement was adopted on the orders of the Turkish government, prior to the arrival of Turkish president Recep Tayyip ErdoÄŸan for a two-day official visit to Pakistan on November 16. The closure of 28 schools linked to Fethullah Gulen, an exiled Turkish cleric and major political rival of President Erdogan, has been done without considering the staff and students involved. More than 108 Turkish citizens are working as teachers and in other capacities in the schools run by the Pak-Turk Education Foundation in various cities of Pakistan, and many of them have been serving for more than a decade. The total number of these teachers and their family members amounts to 400 individuals. Many of the staff are also women, some of whom are pregnant. The Pak-Turk management was also forced to remove the Turkish principals of all their 28 schools and colleges across Pakistan, and dissolve its board of directors, which had representation from Turkish nationals. At the same time, the fate of 11,000 students in these schools and colleges has also been disturbed. The Turkish government accuses these students of subscribing to the philosophy of Mr. Fatehullah Gulen, the US-based religious leader accused of masterminding and backing the botched Turkish coup attempt of July 15, a claim vehemently denied by Mr. Gullen. Turkey had declared Gullen’s organization and all its subsidiaries, such as the Pak-Turk Education Foundation, as a terrorist entity. Last August, Turkey’s visiting Foreign Minister Mevlut Çavusoglu asked Pakistan authorities to close down Pak-Turk schools for their alleged links with cleric Gulen. At that time the Government of Pakistan tried to play down the issue, and the Turkish Government was not happy with Pakistani authorities dragging their feet in complying with the request. The current visit of President Erdogan was reported as a warning of fraying trade and diplomatic links if the schools were not closed. The fight between President Erdogan and cleric Gulen is an internal matter, but Pakistan’s weak government was unable to refuse to bring Turkey’s fight to Pakistan. Sadly, Pakistan has become a party in the political fight of Turkey. Academic freedom in Turkey has been greatly threatened under the authoritarian administration of President ErdoÄŸan and his Justice and Development Party (AKP). Since the July 15 coup attempt, Turkey’s government has fired tens of thousands of teachers, professors and heads of department and deans. Many teachers and members of academia have been arrested detained, interrogated and prosecuted in the past four months for their alleged connection and sympathies with Gulen. President Erdogan has also ordered the closure of 15 universities and 1,043 private schools suspected of links to Gülen. Why are internal affairs of Turkey allowed to influence the local sensibility of a sovereign nation? The teachers and other staff of the Turkish schools and colleges have largely remained peaceful throughout their stay and have no track record of any criminal or seditious activity within or outside Pakistan. Moreover, they have been providing quality and affordable education to Pakistan’s low income class for over two decades. Why then should they be expatriated so callously? 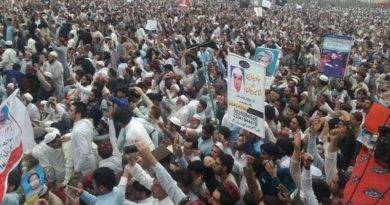 The sudden closure of the schools and termination of education to 11,000 students raises questions about the sovereignty and independence of the Pakistani government’s decisions. A petition by the head of the Pak-Turk Education Foundation is being considered by a high court in Islamabad. The petition says that more than 11,000 students receive education in the 28 schools, which employed 130 Turkish teachers and more than 1,000 Pakistanis. It also denies that Pak-Turk is affiliated with any political organization. The arbitrary decision of the government of Pakistan is in violation of its own constitution and laws related to the right of education, which is a fundamental right of every person, to be upheld without any discrimination. It is also a violation of Article 8 of the International Covenant on Social, Economic and Cultural Rights, which Pakistan has ratified. The deportation is a sad and unfortunate case of politics taking precedent over the fundamental right of education. 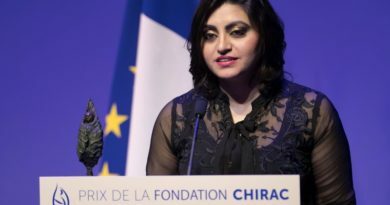 It is time for Pakistan to take practical, meaningful steps to express their solidarity with the Turkish academia in their commitment to academic freedom. 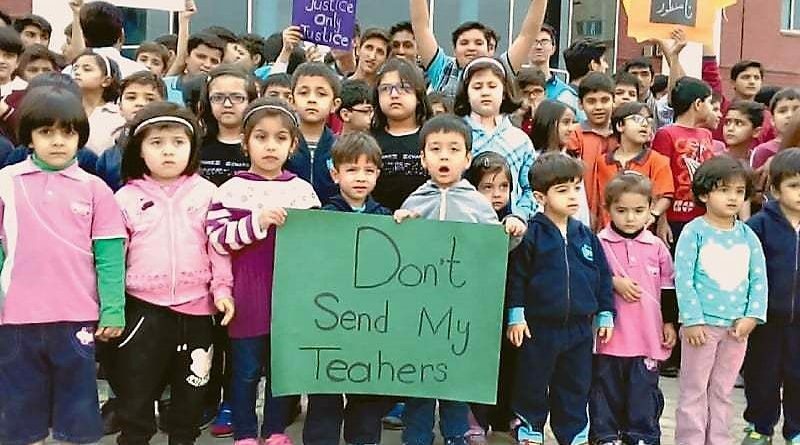 The Asian Human Rights Commission urges the government of Pakistan to immediately restore the Pak-Turk schools, reinstate the staff and stop their deportation to Turkey. The Pak-Turk Schools have been offering free education and boarding facilities to 35 percent of the students, besides awarding foreign scholarships to them. The decision to overhaul the administration in the middle of the academic year will adversely affect standards at the educational institutions, and the responsibility of denying education to 11,000 students lies on the government.